Life is hectic. Quality time with friends should be easy. 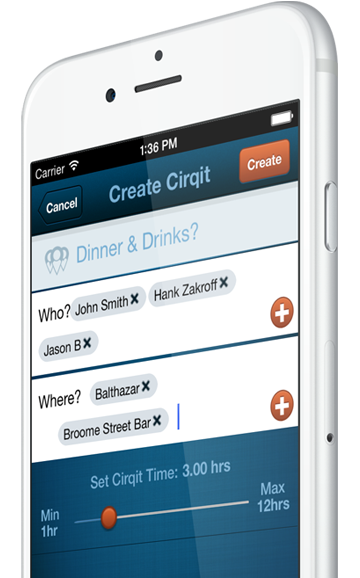 Cirqit streamlines getting together to make the most of being together. We’re all busy and need to make the most of our face-to-face time with others. 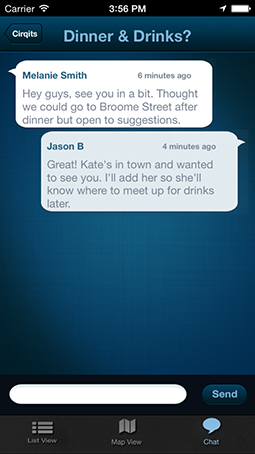 No more missed connections. No more texting back and forth to coordinate. 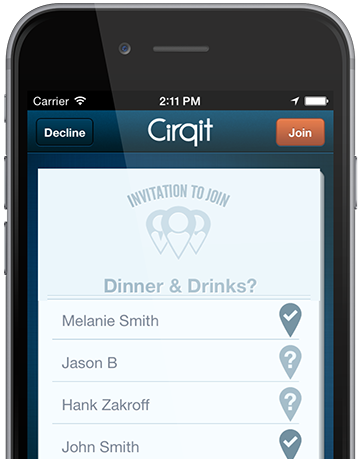 Cirqit is redefining how we meet up. Why switch between two to three different apps to connect when Cirqit puts everything you need in one place? 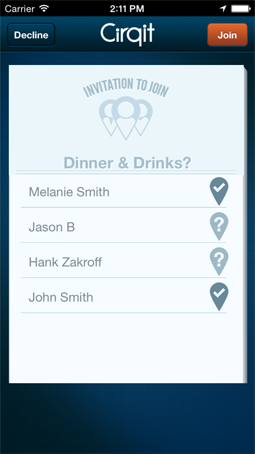 No more texting back and forth to see where everyone is, figure out where to go and how to get there. 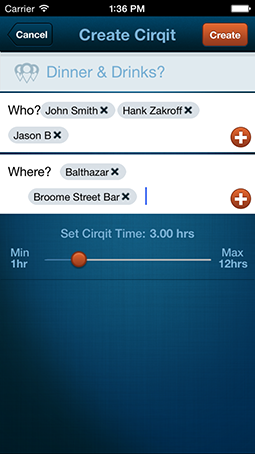 Cirqit makes the who, what, when and where of your real-life interactions much more interactive. Straight from your address book. 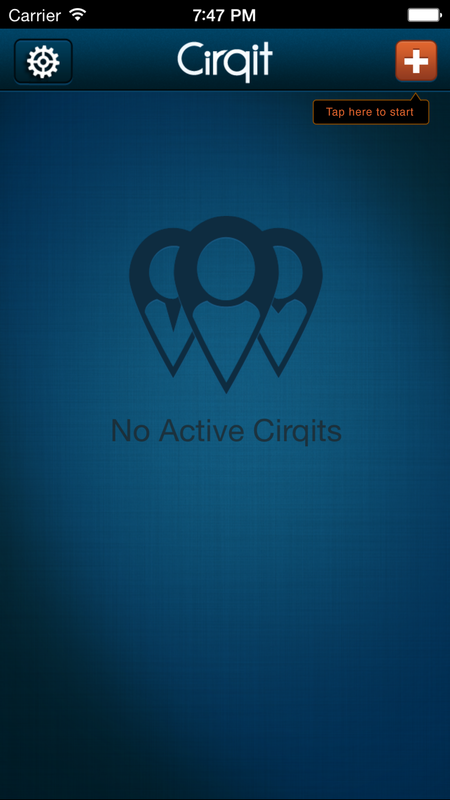 Cirqit is cross-platform so they don’t need the app to participate. 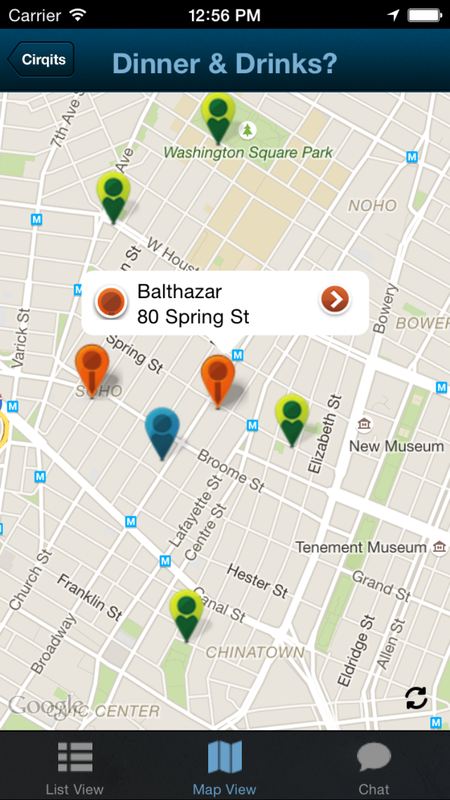 Collaborate on plans and show destinations by adding places to the Cirqit. Only share with those who need to know when they need to know. 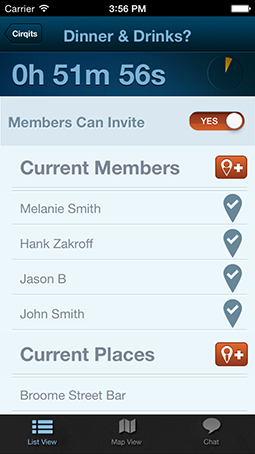 Invitees see who else is invited so they’re comfortable with joining. 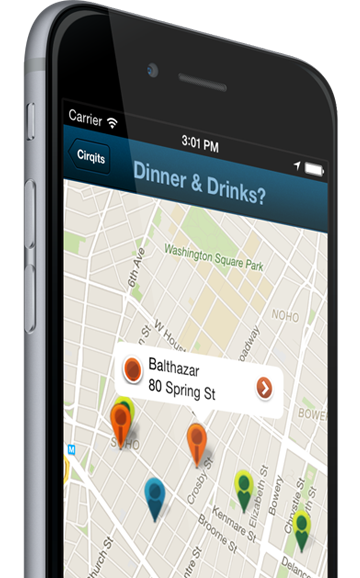 Cirqit displays members and places on a map and gives users full control to opt out. Private communication only live for duration of the Cirqit. No messages are ever stored.